The National Weather Service in Louisville has issued a Wind Advisory, which is in effect until midnight tonight. Wind gusts will pick up late this morning through tonight. A cold front moving through this evening will shift the wind directions from southerly to westerly. Expect wind gusts, outside of thunderstorms, to around 40 mph. Saturated grounds may make it easier for some trees to fall over, potentially causing a few power outages. 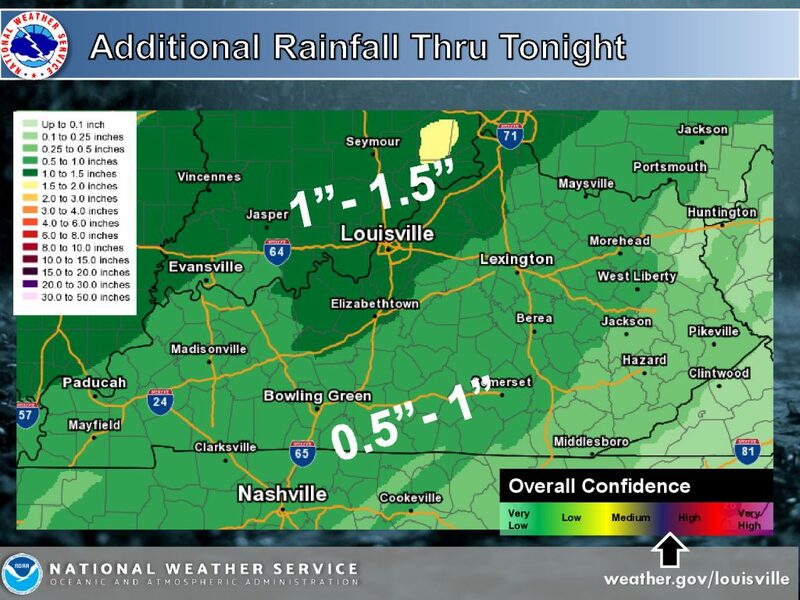 Occasional moderate to locally heavy rain may result in local flooding issues overnight. A flood watch remains in effect. 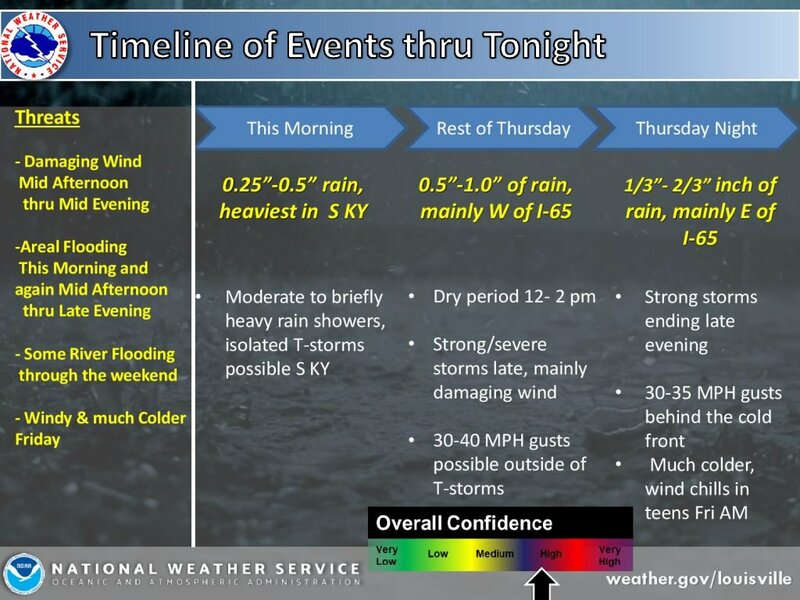 The most likely location for heavy rain, isolated thunderstorms, and local flooding will be across south-central Kentucky this morning, and southern Indiana and north central Kentucky this afternoon and evening. 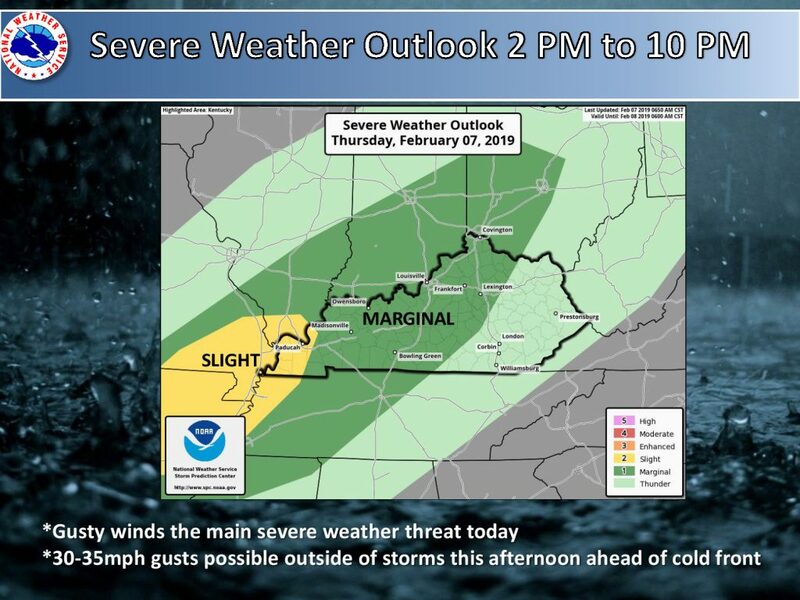 Strong to severe thunderstorms will also be possible today, with the main threats being damaging wind gusts. An isolated, brief spin-up tornado cannot be ruled out as well.